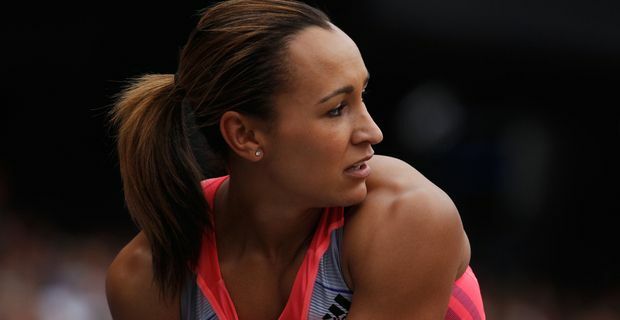 Olympic champion Jessica Ennis-Hill has been ruled out of the world championships in Moscow. Ennis-Hill's participation at the Anniversary Games in London had sparked optimism that she would be ready for Moscow, but the athlete felt she was not in the right shape to compete. Her recurring achilles injury has left her "not where I want to be both regarding pain and also form". The London meeting served to confirm doubts that she already had about her state of preparation. "I am so glad I got to compete in London last weekend as it gave me a clear picture of where I am," she said, "and it is definitely not where I want." Ennis-Hill has missed most of the 2013 season but had hoped to be ready for another medal challenge. She was one of the UK team's major medal hopes. "To say I am gutted is an understatement," she said. "No athlete likes to miss the opportunity to compete at a major championships – they don't come round that often." Her priority now is to identify the source of the problem. "Up until now we have been focusing on managing the pain so I can train and get myself in shape to go out there to win in Moscow – which has meant not focusing on finding a cure for the injury. The time has now come to stop chasing fitness and look to cure the problem." It's the latest example of the “curse of Santander”. When the bank chose Formula One driver Jenson Button, golfer Rory McIlroy and Ennis-Hill to front their bizarre advertising in which sports stars stalk bank customers, all three were world-beaters. Since then Button has become a grand prix makeweight, McIlroy can barely make a cut in a golf tournament and Ennis-Hill has been plagued by injury. Might be worth considering a change of bank?